In Landladies by Sharyn Rothstein, a landlady and tenant find much in common, but their friendship walks a delicate balance. Faced with dilemmas that pit fairness versus kindness and honesty versus eviction, both women are determined to build a home, and both know the threat of losing one. In a panel discussion immediately following the performance of Landladies, Northlight’s Artistic team will engage with topical experts to discuss the relevance of the play’s themes to Chicago’s North Shore and what we can do to make a difference. 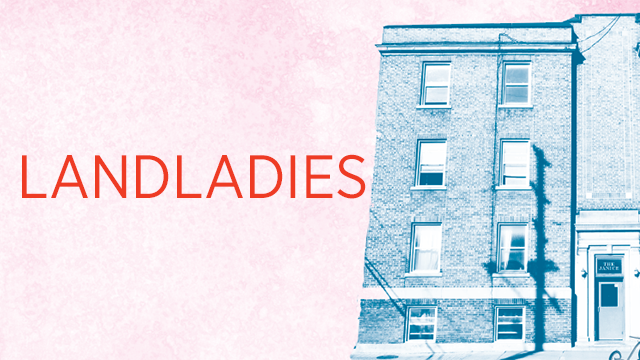 To purchase tickets to the April 4 performance of Landladies, visit our website. Self-made landlord Marti and her new tenant Christine have a lot in common, but lines are blurred when they find that “getting ahead” and friendship don’t always mix. These two women reveal the desperation and the ingenuity of people who know the value of having a home, and the threat of losing one.